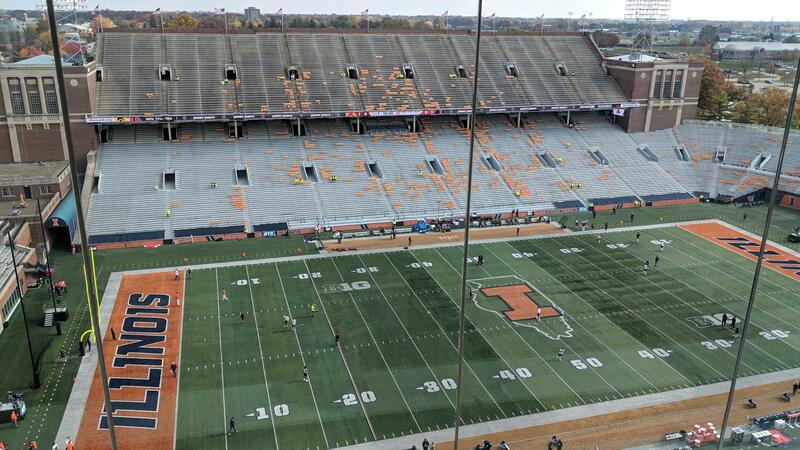 Good afternoon from Champaign, Ill., where the Gophers face Illinois (2:30 p.m., BTN) with a chance to win their second consecutive Big Ten game and give coach P.J. Fleck his first conference road win with Minnesota. With a win, the Gophers (4-4, 1-4 Big Ten) also can move within a win of reaching bowl eligibility, with home games against Purdue and Northwestern and a trip to Wisconsin remaining. Redshirt freshman quarterback Tanner Morgan will make his second start for the Gophers and try to build on a solid performance last week, when he completed 17 of 24 passes for 302 yards and three touchdowns, including the winning 67-yard connection with Rashod Bateman with 1:34 left in the fourth quarter to beat Indiana 38-31. Morgan and the rest of the Gophers offense will face an Illinois defense that is reeling. The Illini gave up 712 yards of offense in a 63-33 loss at Maryland last week, and they’re allowing 47.6 points and 569 yards per Big Ten game, last in the conference in both categories. The Gophers are 13th in points allowed (40.8) and 12th yards allowed (480) in league games, so we could be in for an offensive shootout. * Senior offensive tackle Donnell Greene is out. He did not accompany the team to Illinois. Sophomore Sam Schlueter will replace Green at left tackle. * Senior running back Shannon Brooks, who injured his right knee against Indiana, is out. But redshirt freshman Mohamed Ibrahim is in the starting lineup. He missed last week's game because of a head injury. * Wide receiver Tyler Johnson, who missed most of the second half of the Indiana game because of a lower leg injury, was warming up with the first team. * Defensive back Antonio Shenault and defensive tackle O.J. Smith are out because of head injuries. Today’s game also marks the return to Illinois for Fleck, who’s from Sugar Grove, Ill.